Sony Says "These Aren't the Vita Technical Problems You're Looking For"
Sony strongly denies there are widespread problems with the PS Vita. The PS Vita launched in Japan on December 17th and has sold a boatload of copies, firmly placing the handheld on better footing than its predecessor, the PSP. But that hasn't prevented some users complaining about technical issues they are experiencing with their new shiny toy, such as difficulty powering the device on and off, freezing, and the touchscreen not responding as it should. A report on Japanese language site Rocket News 24 details the problems one customer had, but unfortunately for Sony, the story was picked up by major news outlets like the BBC that Sony publicly apologized for the technical "glitches". A spokesman from Sony has issued a statement saying that they were not apologizing at all and the company does not acknowledge the existence of any widespread technical problems with the PS Vita. In fact, they are quite miffed about the whole thing. 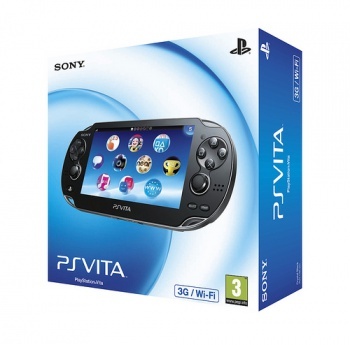 "The PS Vita has had a terrific launch and sold in large numbers. We're annoyed with these stories, because we can't find any evidence of widespread glitches," said David Wilson, head of Sony's PR in the UK. "The stories even said that Sony has issued an apology for PS Vita glitches, which simply isn't true - there's an apology on our Japanese website for people who are having trouble getting through to our technical help line, but that's it," he continued. Wilson says that Sony's normal technical support pages on its website have been construed as step-by-step ways to avoid the glitches. "There's a page showing standard procedures for powering the PS Vita on and off, which has been on our site since before the launch, which has been presented in some news stories as a means of solving the alleged glitches." He says that it's possible that some customers are experiencing problems with the PS Vita, but they are isolated and not evidence of design or manufacturing problems by Sony. I have to side with Sony here. It is altogether impossible to ship a piece of hardware as complex as the PS Vita without some bugs and glitches popping up. Just because one guy has a problem, doesn't mean that the launch is borked and that Sony must apologize. It just means one PS Vita isn't working as advertised. Of course, these videos posted by the Rocket News guy do look really freaking frustrating, it's just irresponsible to assume that the PS Vita is garbage based on one guy's experience.